African Horse Company : In company of horses - in balance with nature. 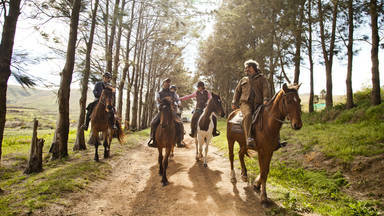 African Horse Company trails go through varying terrain. Distances of up to 45km a day will include beach, dune, rugged mountain, streams and wetlands. Through fields of fynbos, up rocky slopes or galloping on the beach, our horses need to be sure footed, fleet and enduring. 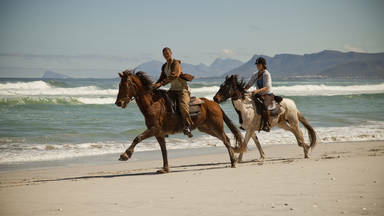 The horses used, and most suited, are South African cross breeds: Boereperd, Arab, Saddler and Friesian crosses.